In the United States, homicide is the second leading cause of fatalities in the workplace for women and is the fourth leading cause of workplace deaths for men. With so many workers dying as a result of violence in the workplace, our Boston work injury attorneys believe it is important to do everything possible to understand why workplace violence occurs and how to prevent it. Recently, a new study was released that can shed some light on this issue. The study is called “An Examination of Strategies for Preventing Workplace Homicides Committed by Perpetrators That Have a Prior Relationship With the Workplace or its Employees.” It was published in the Journal of Occupational and Environmental Medicine in December of 2012. Situations where the attacker and the employee who was killed had a personal relationship with each other outside of work, such as being in an intimate relationship. Situations where the attacker had no valid connection to either the employees or to the business. Situations where the attacker is a customer of the business or a client who receives some types of services or goods/items from the company. 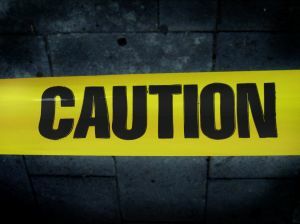 According to the study, there was some type of prior relationship or prior connection in between 12 and 23 percent of workplace homicide incidents. In other words, the attacker usually knows the employees or has a connection to the business. The study also revealed that while the rate of workplace homicides has gone down overall, homicides committed by people connected to the business have declined at a slower rate than the decrease in homicides committed by people with no business or personal connection. Putting employees behind physical barriers. Making it easier to see into the workplace by improving visibility. Adding extra lighting outside of the workplace. Using security devices including surveillance cameras. Having policies that restrict access to the workplace, including potentially having security guards. Avoiding a situation where an employee is working alone. Training employees in workplace violence prevention. Employers should strongly consider taking these steps to prevent workplace homicide. Not only can employers prevent their workers from getting killed at work by taking the proper precautions, but employers can also hopefully avoid a workers’ compensation claim by keeping their workers safe. Workers’ comp claims can be brought in certain cases when workplace violence or homicide occurs and the surviving family members of the victim who was killed can receive a death benefit as well as compensation for funeral costs and other related expenses. Typically, a negligent-security or other wrongful death civil lawsuit would also be pursued. If you or a loved one has been injured at work in the Greater Boston area, contact the Law Offices of Jeffrey S. Glassman, LLC for a free consultation. Call 1-877-617-5333.